Those who have a bachelor’s, master’s or higher degree or other equivalent qualification in architecture, construction, or related area, can apply for admission to certificate in Construction Management programs. These programs are offered by a number of colleges and can be completed online or on-campus. Depending on the subjects taught and its desired outcomes, a construction management program can last anywhere from between six months to one year. 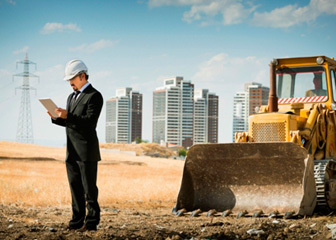 Some of the courses included in Construction Management Certificate Programs are Engineering Leadership, Leadership in Energy and Environmental Design, Construction Changes and Claims Documentation, Legal Aspects of Construction and Contracts, Structure Analysis, Construction Surveying, Budget and Cost, Job Site Management, and Land Development Procedures. By getting a construction management certificate, candidates can learn how to manage contracts, deadlines and construction costs. In one word the future for construction management professionals is excellent. According to the US Bureau of Labor Statistics, employment opportunities for certificate in Construction Management graduates are expected to increase by 17 percent through 2018, which is higher than other occupations. Graduates of Certificate of Construction Management programs can work as consultants, or find work with building contractors, non-residential construction companies and various government departments. Q:Besides becoming a construction manager, what other jobs are available after getting a certification management online? Also what do construction managers do? A: Besides becoming construction managers, students with an online certification in construction management may go on to become cost estimators, construction or building inspectors and carpenters. Construction managers are responsible for planning, coordinating, budgeting as well as supervising a construction from the beginning to end.New construction managers usually undergo training and are hired as assistants to more experienced managers before beginning their own independent work. Depending on the firm, the duration of working as an assistant can last from several weeks to several months. Q:Can you tell me the benefits of construction management certificate online? A:Construction management certificate online has a number of benefits that are not usually a part of traditional programs. With an online certificate, you can have a lot of flexibility and convenience in your study schedule. You can study at your own pace and also have the luxury to make your own schedule. Online learning resources also help enhance the learning and retention. Besides, online programs are cost effective as you do not incur travelling, hostel accommodation, or textbook expenses. Q:What are the different skills I will learn in online construction management certificate? A:An online construction management certificate will help you gain a number of skills needed to perform well and have a competitive edge in the construction industry. These skills are broad ranged and can be further polished by experience. The program focuses on skills of design, building and construction, engineering and technology, administration and management, personnel management, and communication. Q:What will I learn during Construction Management Certification? A:Engineering principles, material properties, workflow logistics and personnel management are just some of the key subjects that will allow construction mangers to retain and satisfy large number of workers and teams. However, construction management certification will also provide key management skills such as budgetary concerns, workplace responsibility and project delivery which will keep upper management at ease with the construction project.